Allround riders who love a sheet & go feeling, great low end power, wide wind range and a great hangtime. 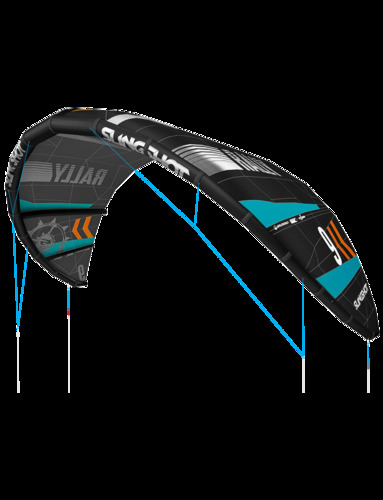 Touted as the most versatile and user-friendly kite in Slingshot’s lineup, the Rally has continued its dramatic rise to the top since introduced to the market in 2011. Available in sizes 5-12 and 14 so kiters can build their perfect quiver, the 2016 Rally incorporates an open Delta-C profile, a direct-connect pulley-less bridal system, beefed-up surf-tough seams, fine-tuning attachment points and a number of other unique feathers to make this the ultimate all-around kite weapon of choice for kiters across the spectrum. Never before has one kite appealed to so many different styles of riding. Updates to the 2016 Rally include relocated attachment points and a slight change in geometry, which increase handling and steering speed, reduce bar pressure and bring back a feel similar to the popular 2012 version. 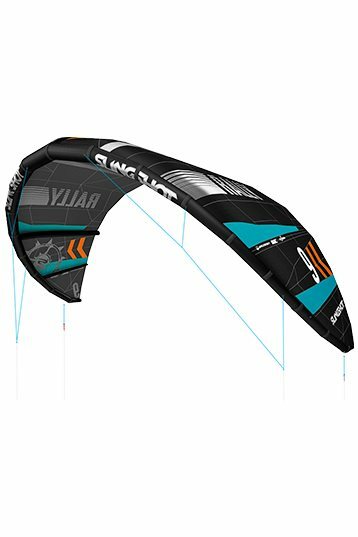 These updates compliment the Rally’s unrivaled wind range, low-end power, hang time, upwind performance and, bombproof construction that has kept Slingshot at the leading edge of the industry for the last 15 years. Had a short session with the new Slingshot Rally. Was a bit underpowered and riding strapless with the Firewire Tomo. Gusty conditions and most other riders where on a 12 or more. Had a fun session. The most remarkable was the easy relaunch in its low end. The Rally is very stable in gusts. It's also a trustful kite, the gradual lift & boost makes the Rally a kite without strange power pulls. Always feedback and control.